MCE 2018 exhibition in Milan has started. 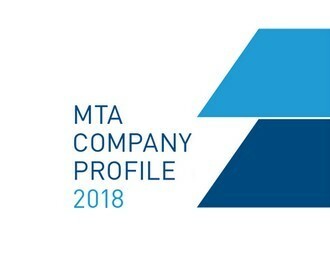 With that, we want to seize the moment and introduce our new document: the new MTA Company Profile 2018. For the first time, we have condensed the essence of MTA in a three-page brochure. The fastest way to discover who we are, what we do and why we do it.